Inaugural Bernard H.K. 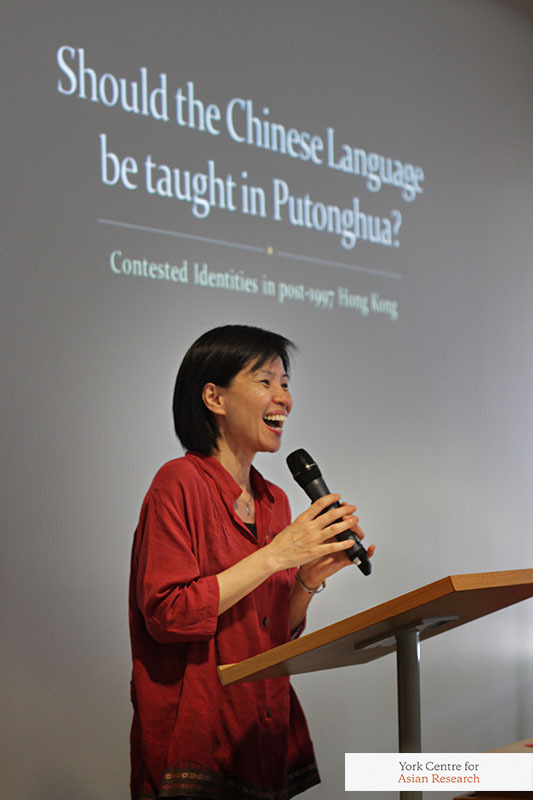 Luk Memorial Lecture in Hong Kong Studies: Should the Chinese Language be Taught in Putonghua? 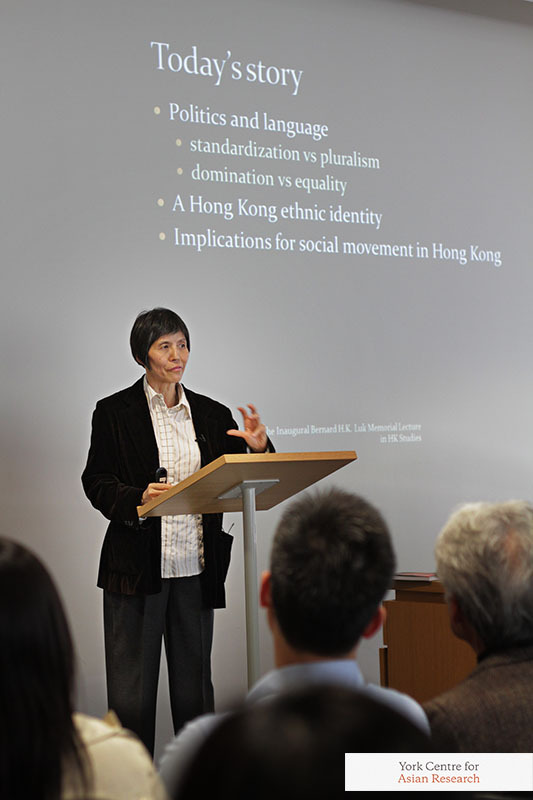 The Bernard Luk Memorial Lecture in Hong Kong Studies is an annual event organized by the York Centre for Asian Research. The lecture provides an historical or contemporary analysis of Hong Kong as a distinct society, Hong Kong’s influence on the wider world, or, the experiences of the Hong Kong diaspora. 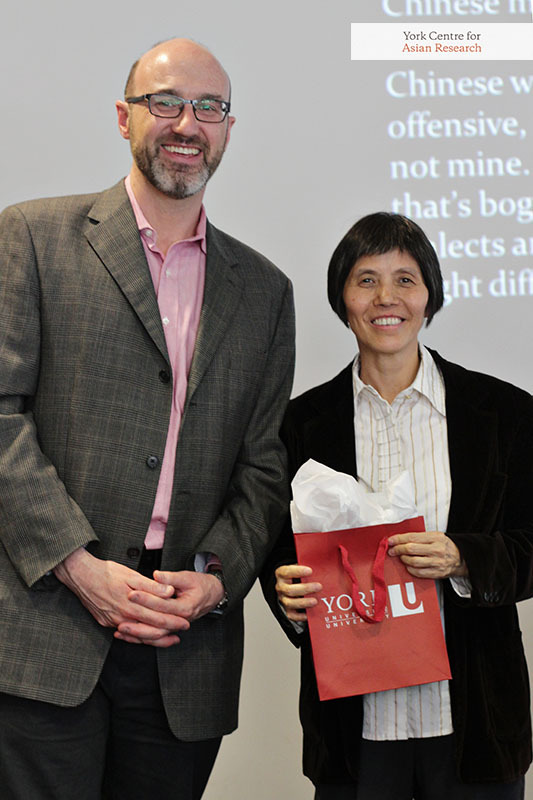 The lecture was endowed by Dr Vivienne Poy in memory of Professor Bernard Luk (1946-2016), a distinguished historian of Hong Kong and beloved colleague at York University. Should the Chinese Language be Taught in Putonghua? In China, the promotion of the standardized national language (putonghua) has been greatly accelerated by centralized state power and universal education since 1949. In this context, Hong Kong is a linguistic (and cultural) anomaly, as a haven for Cantonese and the only Chinese city where a local ‘dialect’ is still officially adopted as the teaching medium in schools. Since 1997, the official line has been surprisingly gentle, with individual schools free to decide whether to switch to putonghua as a medium of instruction. Nevertheless, 70 per cent of primary schools and more than a third of secondary schools had made the change by 2013. This might be explained by a utilitarian stance adopted by parents and schools in face of China’s economic power, and by a tacit acceptance of the superiority of putonghua over Cantonese among some sectors of the population. These views are not, however, uncontested, with resistance from a small number of language scholars and teachers, and from the younger generation. This resistance, particularly that coming from students is certainly related to the Umbrella Movement in 2014, yet its agenda lies in a different sphere. 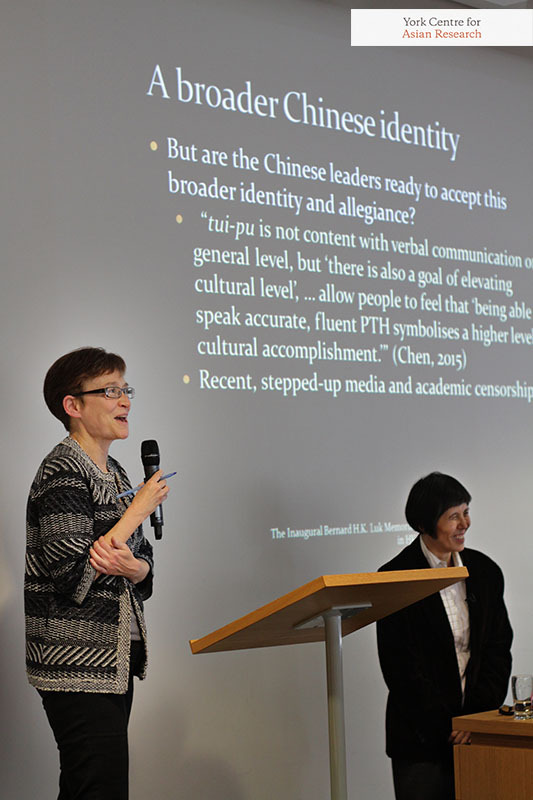 It represents a contest of identities (national versus local) as well as a debate over what constitutes good practice in the teaching of modern Chinese language. Dr Choi Po King was trained as a sociologist at the University of Hong Kong and completed her doctorate at the University of Oxford. 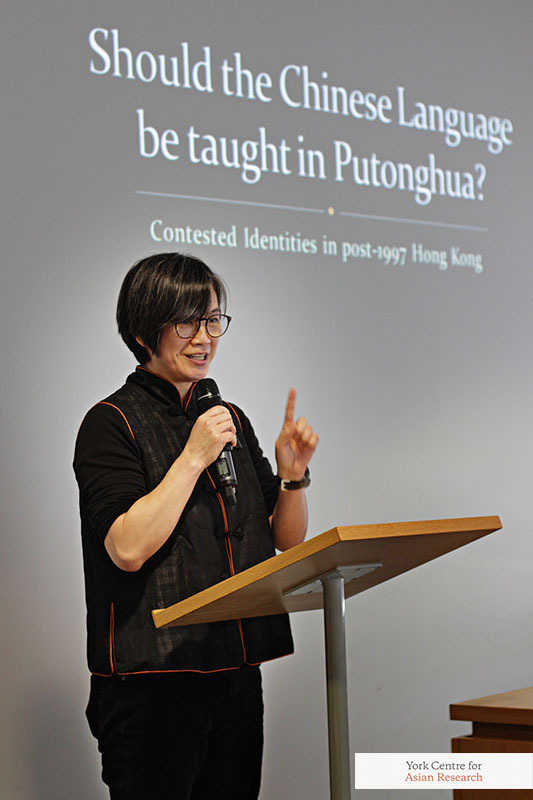 Until her retirement in 2016, she taught at the Faculty of Education, Chinese University of Hong Kong, and, for six years, she was Director of CUHK’s Gender Studies Programme. Her research interests and publications revolve around gender and education, masculinity studies, education policy, the history of the women’s movement, as well as life histories of workers in Hong Kong. Her current projects include an ethnography of masculinities among teenage boys in Hong Kong. Her research interests overlap considerably with those of Prof Bernard Luk, notably, Hong Kong culture and history, gender issues, and education policy. She also shares his passion over various social concerns, among them academic freedom, an issue which was very dear to him and which, unfortunately, is increasingly being undermined in Hong Kong. In the foreground: Professor. 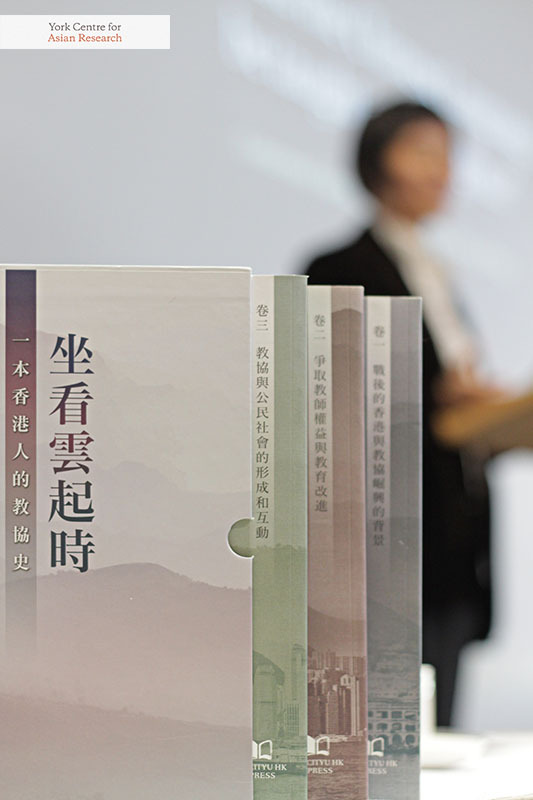 B. Luk’s last major project, a substantive three volume history of the Hong Kong Professional Teachers’ Union, a major actor in the formation of the civil society in Hong Kong. The final edit for the work was done by Dr. Po King Choi. Being interviewed by Fairchild TV and OMNI TV.